Vera is a person first and a therapist second. Dr. Vera’s no guff attitude means you’re going to get answers that are straight to the point. No beating around the bush, no sugar coating the situation. Dr. Vera’s goal is for you to feel the best you’ve ever felt about yourself. It’s that simple. Do you have the courage? I say yes! You’ve already shown it by making it this far. Together we can work towards achieving your goals big or small. Whatever it is, we’re here to listen and help. Review some of our services below, if any of them strikes a chord, let’s connect and chat in more detail. 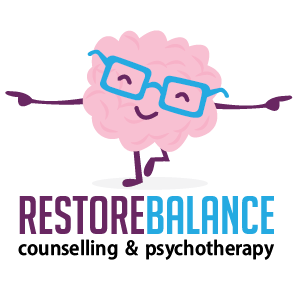 We provide psychotherapy services (in-person or secure video) in different areas of practice which includes depression, anxiety, life transitions and adjustment difficulties, trauma, substance use, relationships difficulties, work-life balance and career challenges. Our approach emphasizes taking the necessary steps to change your current situation and achieve your dreams. Our style is direct, person-directed, strengths-based and solution-focused. Our work is guided by cognitive-behavioural, humanistic, and holistic frameworks. Our interventions include CBT, DBT, Motivational Interviewing, and Crisis/Suicide Intervention. We believe in choice, personal preference, and individualized approach to treatment and encourage our clients to communicate their preferences for treatment and actively seek their feedback. Morning, afternoon, evening and weekend appointments are available.